Seriously? It's June? I'm not sure I'm ready for the way time is flying. Clearly I'm getting old. Further proof is that my young cousins (twins - who I distinctly recall being quite small...) have turned 18 today. That does make me feel old. Well enough of that depressing thought! Let's focus on something more cheery than age. Like... fabric! And quilts! 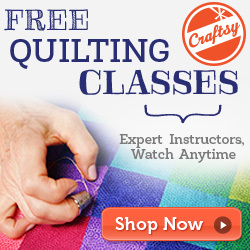 And all things crafty! I actually quite look forward to doing a round up of what I've made each month. It's proof I accomplished more than just survived the day in/day out of being a mum to two young, very busy children! So onwards... Here's one of those fab little mosaics rounding up the bits and pieces I managed in May! If you're interested in any particular ones, I've included links to the relevant blog posts below. 1. 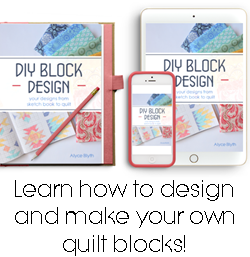 Red Herring blocks – pattern and tutorial are on their way! 6. My bee blocks from May! Need to add a couple more then I’ll sew them together! 12. Another big finish – Happy Scrappy Owl. It's great to see it all together. Great job. You and Fiona are big motivation for me :-) You are so productive. Aw Vera that is a lovely thing to say...we've been enjoying your posts too. Miss Kristy...this is an awesome mosiac. I am quite in awe of what you got done this month and I am still in love with that chameleon and bird. I endeavour to make July or August my month to learn the art of paper piecing. Wow you've been busy. You get a lot more done than I do I must say! Well done! I love your red herring blocks. Can't wait for the tutorial. That X and O quilt is stunning. I love the herring blocks!! I can't wait for the tutorial :) You were busy in May! Lovely, I love all the colours you have used! I love your herring blocks and the rainbow bee blocks! Wow! So many beautiful things. And, like other, love the herring blocks !Get busy on that tute! Great mosaic. You got a lot done last month! Funny how the months are whizzing by so quickly. great idea to keep a monthly roundup! Looks like you've been productive.